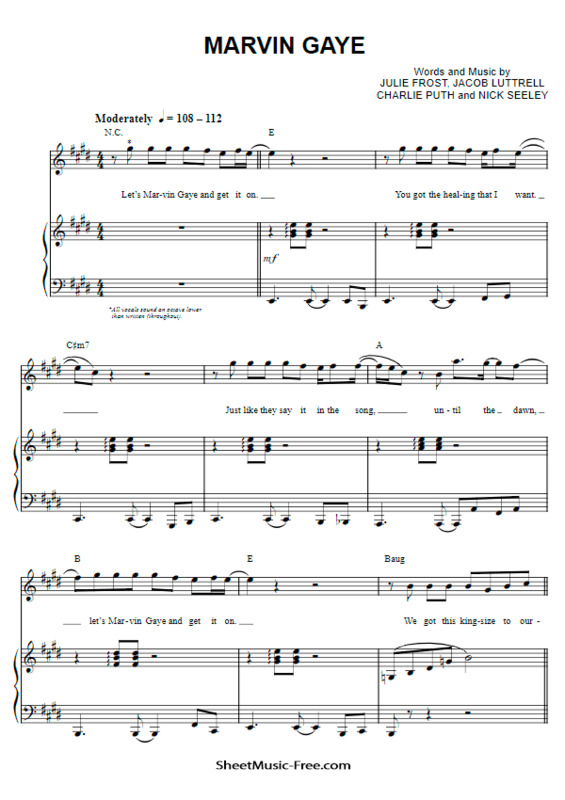 “Marvin Gaye Sheet Music” by Charlie Puth, “ Marvin Gaye Sheet Music” for Piano / Vocal/ Chords , Original key: E Major, number of pages sheet music PDF: 8, Video and Lyrics song Marvin Gaye Sheet Music. “Marvin Gaye’” is the debut single recorded, produced, and co-written by American singer Charlie Puth. Marvin Gaye Sheet Music Charlie Puth.